reading greedily, not just for entertainment but also focusing on the craft, the choices and techniques of the author; ‘reading the greats,’ in novelist Alan Cheuse’s words, ‘in that peculiar way that writer’s read, attentive to the peculiarities of the language . . . soaking up numerous narrative strategies and studying various approaches to that cave in the deep woods where the human heart hibernates’ (3). Along with reading greedily, my students and I will listen greedily this semester to the observations on craft and technique offered by the writers featured in Lenoir-Rhyne’s Visiting Writers Series, beginning with National Book Award winner Jesmyn Ward, who will read and discuss her work on Monday, January 19. 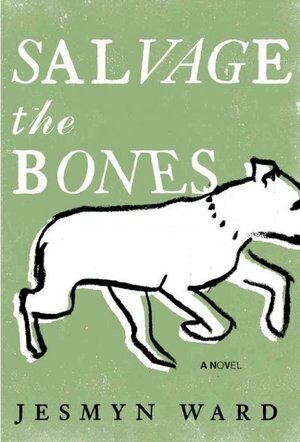 As an introduction to Ward’s fiction, my students and I read the opening pages of her novel Salvage the Bones (2011), which depict a pit bull struggling to give birth. While China, the pit bull, serves as the focus, the beginning of Ward’s novel offers far more than the details of the dog’s labor. The second paragraph begins, “What China is doing is nothing like what Mama did when she had my youngest brother, Junior,” introducing Mama’s labor as a point of contrast, providing a transition from the present scene centering on China to the scene seven years earlier of Mama’s own labor and the birth of Junior, who “came out purple and blue as a hydrangea: Mama’s last flower.” Ward doesn’t choose between simile and metaphor; she uses both. Junior is like a hydrangea, and he is a flower, Mama’s last one. Burroway, Janet. Imaginative Writing: The Elements of Craft. 3rd ed. Boston: Pearson/Longman, 2011. Print.